All is going well. 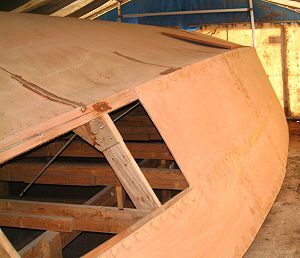 I have now got to the point were all the boards are on the hull and the first layer of fiber glass and epoxy are on the boat. 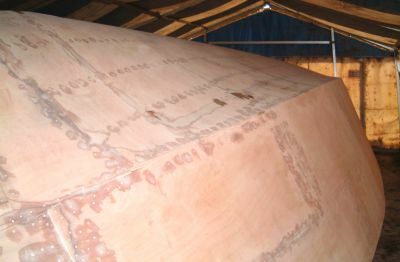 Some pictures of the hull without fiberglass are attached. 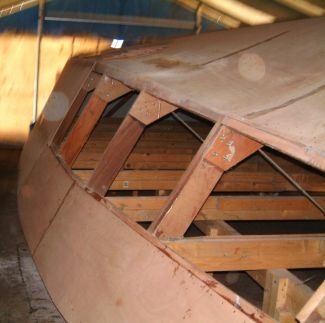 I am now wondering what is going to be the best way of turning the boat in a about a month when it is finished. Any info or advice on turning a 35 foot by 14 foot boat would be helpful.